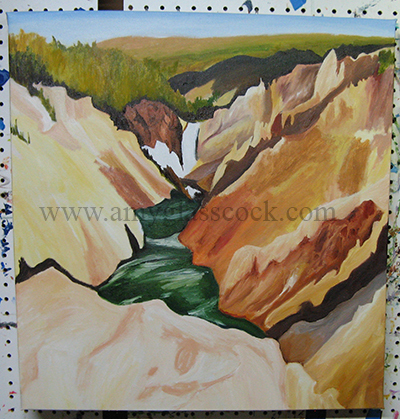 8.13.2012 >>> I am trying to figure out a Yellowstone National Park painting next. There are many photos to go through, so it may take a few days. Stay tuned! 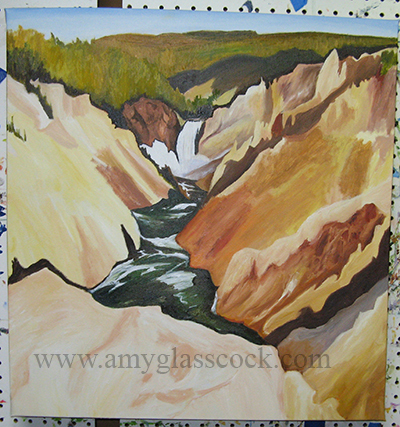 I decided to paint the canyon area at Yellowstone during dusk. 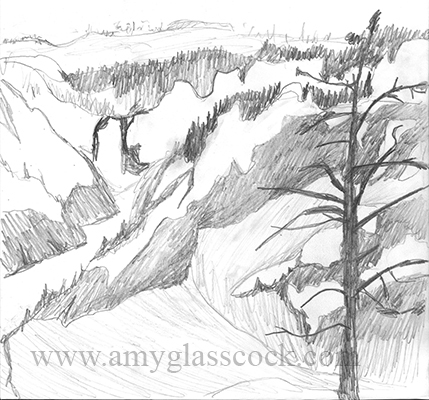 My sketch is pretty rough but the shadows of the mountains look really cool. It will make more sense in color so stay tuned. 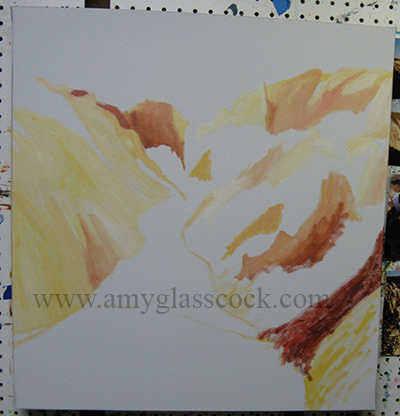 I started painting the canyon's yellow colors... I'm just blocking in the shapes at this point though. I finally had time to paint again today. 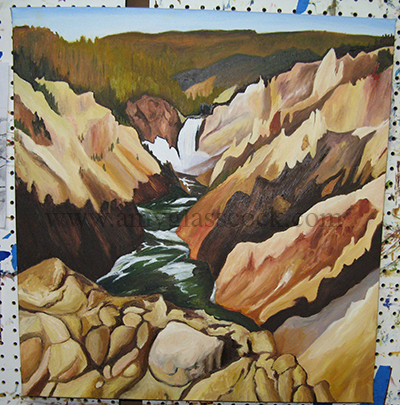 I added some of the trees in the background and started filling in some of the shadows as well. I'm still filling in all the shapes to start... more details to come. I worked on the right side rocks today. 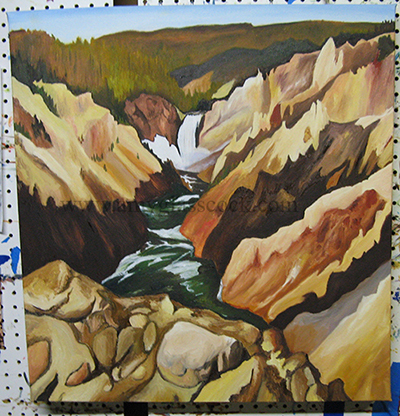 I started adding in some of the jagged cliff shapes. 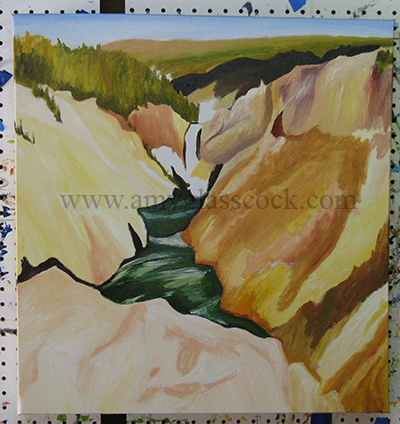 I worked on the waterfall area and the rocks to the left of it. I changed the colors in the water and waterfall today. 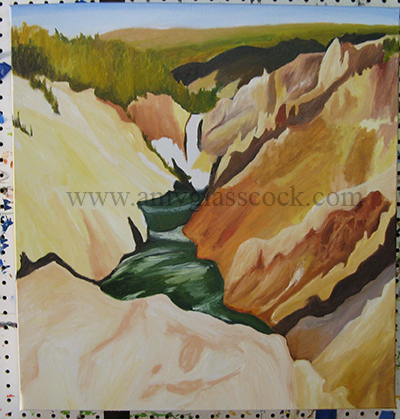 I changed both sides of the canyon. 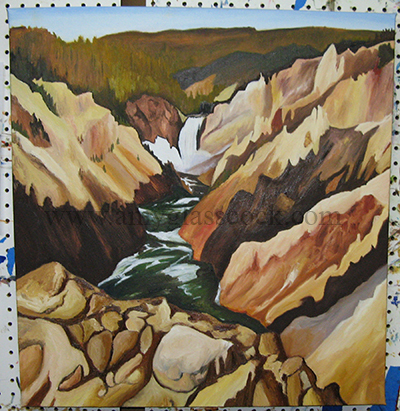 I also started working on the foreground rocks. I am going to try to finish it tomorrow. We will see! 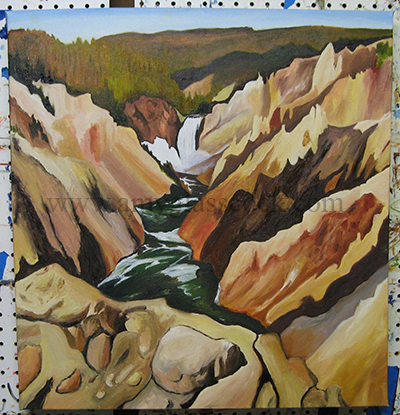 I worked on the foreground today. I have lots more details to go. This is going to take longer than I thought. I worked on the trees in the background. I changed them to more muted colors and tried to show more details of the trees. 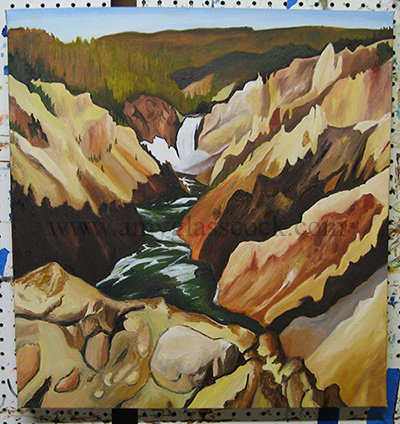 I changed some of the colors in the foreground rocks. I am not happy with that section yet. I also need to define the shadows etc. on the left side of the canyon. So I still have some work to do! 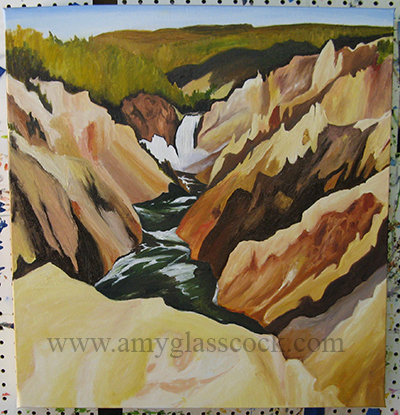 I worked on the left side of the canyon today. I added the shadow and more details. 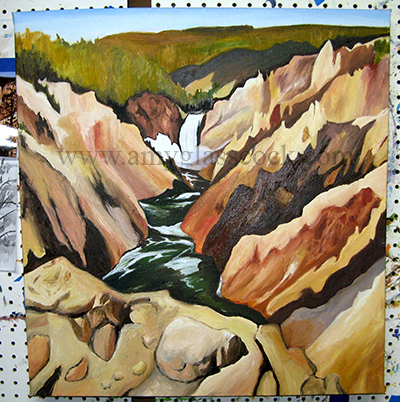 I worked on the foreground today. I changed the rocks on the right side mainly. 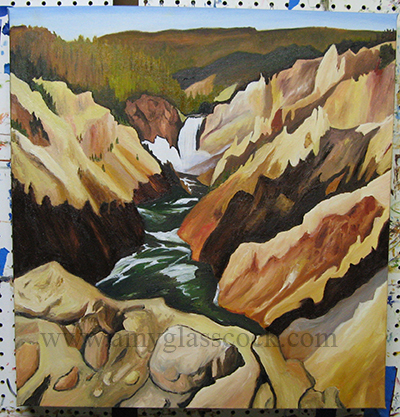 I worked on the rocks in the foreground again. 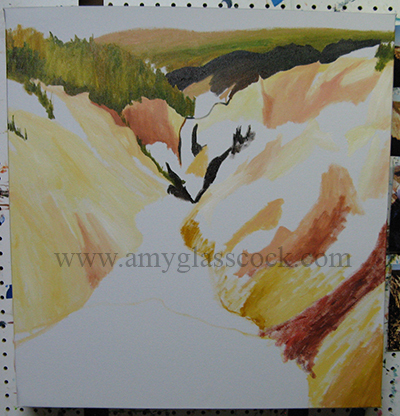 More work on the rocks in the foreground.